I think it's time to just take a moment and appreciate the art of the Spirit. Where else are you going to see art like this? Man, what I wouldn't pay for the original black and white art from this page. 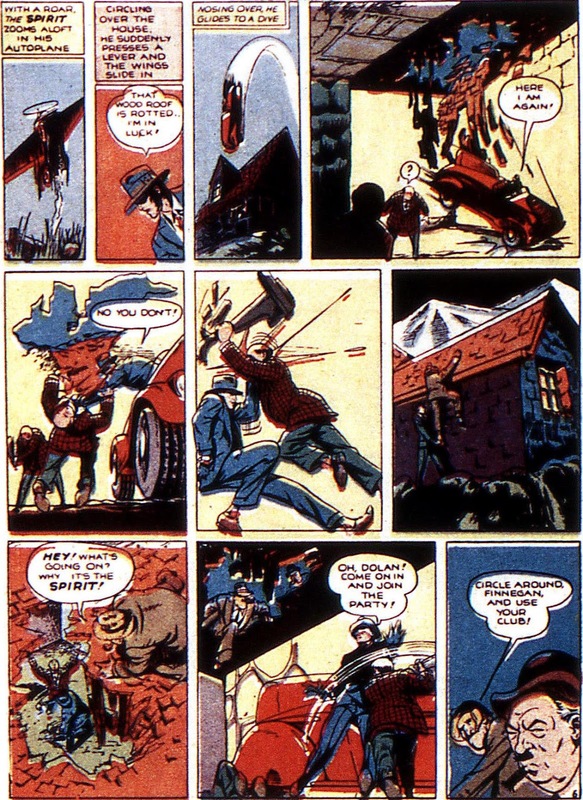 Like so much Will Eisner art, it's almost like the primitive 40s colouring techniques are defiling the work.